In the heart of Samaria, in the city of Ariel, there is a special home built by Irena Wodislavsky and her late husband Kuba. They have spent their live’s dedicated to turning their home into a unique Holocaust and Heroism Memorial Museum. 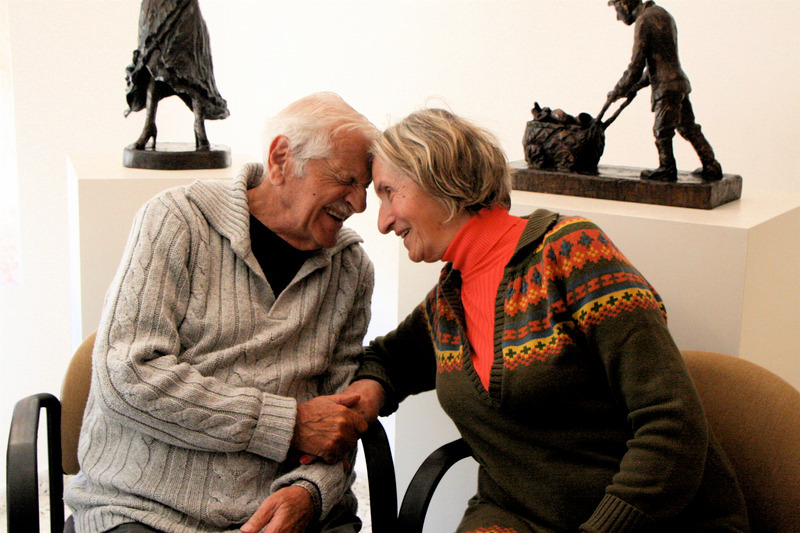 The Museum houses authentic artifacts collected and purchased over the years by Kuba and Irena, and exhibited in the museum together with the story of the couple, their survival, and immigration to Israel. Their mission and lifetime goal is to ensure that the voices of those who perished in the Holocaust will forever resonate. Today, Irena continues their journey with the help of young volunteers and adults from the community. Irena is now determined to upgrade the Museum to benefit generations to come. She is working to move the Museum to a nearby, more accessible location, renovate the property to house the Museum and add technologies that will bring personal testimonies to life. In order to assist Irena in the upgrade, we are embarking on an international crowdfunding campaign. For more information about the museum, check out the Holocaust and Memorial Museum page. Each donation will bring us closer to our goal, and with it, we will be able to help Irena continue to develop the museum in Ariel and share the story and heritage of her and Kuba, of blessed memory, for future generations to come. Donations are tax deductible in the United States, Canada. and Israel.